Violinist Vanessa-Mae will take her appeal against a four-year skiing ban to the Court of Arbitration for Sport. The International Ski Federation [FIS] imposed the punishment after ruling she helped "manipulate" results to ensure her place at the Sochi Olympics. "[The] sanction against me is nonsensical," said Mae in a statement. "I believe that suffering a nasty experience can be turned into positive inspiration." 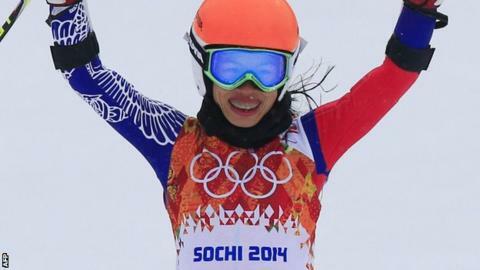 The Singapore-born British violinist competed for her father's nation - Thailand - at the Sochi Winter Olympics and under his surname 'Vanakorn'. She finished 67th and last in the Giant Slalom - over 50 seconds slower than Slovenian race winner Tina Maze - and more than 11 seconds behind the 66th competitor.